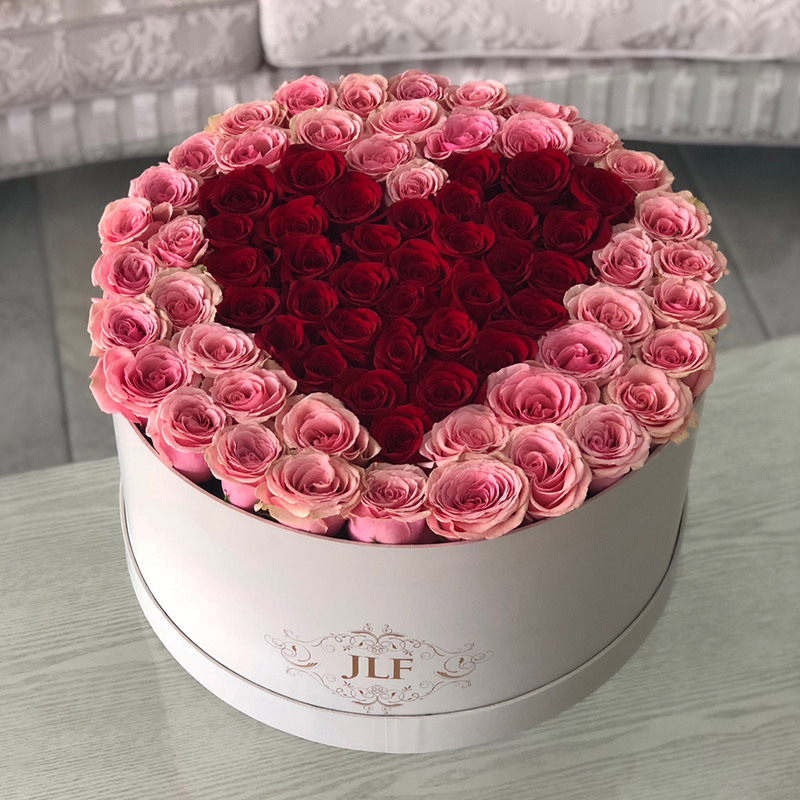 This modern design of JLF Yelena Grandiose Heart Rose Box was constructed by the lovely American pointillism artist, Yelena York. 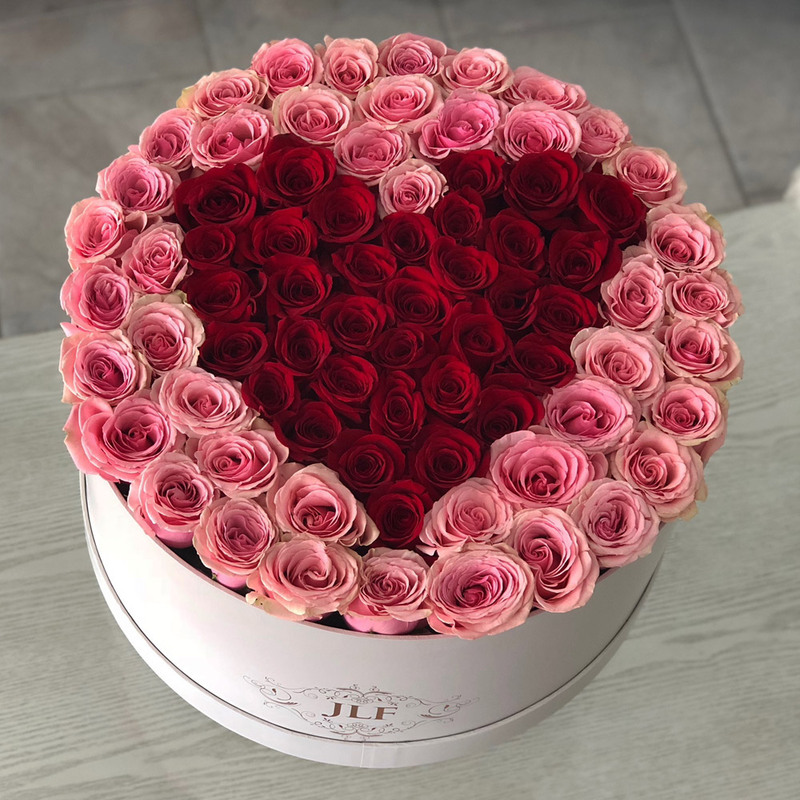 The roses are beautifully and carefully aligned next to each other creating a bed of roses on a single plane with a heart in the middle in our Grandiose box. This box is a part of our Luxury Collection. It may contain up to 75 roses depending on the size of the rose.